All picky eating adults started out as picky eating children. Many have reported problems straight from birth, while others started showing signs as toddlers. Some have reported problems beginning as late as age five. Our parent site, http://www.pickyeatingadults.com, often has inquiries from moms and dads who have noticed that their “finicky kids” are different than most children and reach out for help. 1. Your child’s struggle with food is NOT your fault and there is nothing you could have done differently to change their relationship with food. There is an internal difficulty that we all seem to have that won’t allow us to consume foods the way “normal” eaters do. 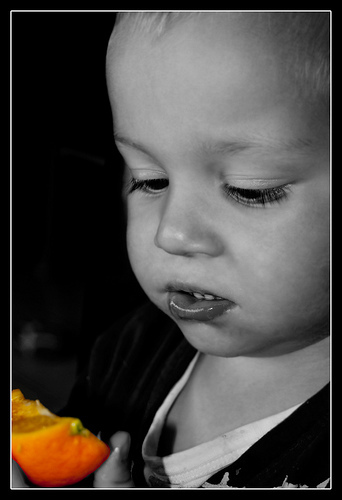 Your child is not choosing to be this way and there is nothing that you did to make your child struggle with food. 2. No amount of forcing, bribing, crying, pleading, begging, scolding, or starving is going to fix the problem and make your child eat something in which (s)he lacks the ability. Kids who are truly born with this disorder are not trying to enter into a stand-off with their parents and making these kids “clean their plate” before they get up from the table is only hurting their self-esteem and breaking their hearts. The number one thing you can do for your child is be supportive. Until medical science is able to truly understand and treat extreme picky eating, your child will likely miss out on some things that other children take for granted. They are going to need their parents to be there for them when times get tough. Little success has been reported in the way of getting PEA kids to expand their diets. However, if your child is experiencing struggles with other senses, I recommend having him/her evaluated for Sensory Processing Disorder by a medical professional. But please be cautious and sympathetic– don’t force your child into doing something in which s/he is not ready and don’t expect a miracle. Listen to your child and be their number one advocate. So far, that has proven to be the best “medicine” of all. More information for parents of PEA kids in upcoming podcasts.